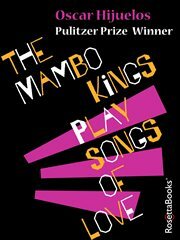 The item The Mambo Kings Play Songs of Love., (electronic resource) represents a specific, individual, material embodiment of a distinct intellectual or artistic creation found in Austin Public Library. The Mambo Kings Play Songs of Love. trueThe Mambo Kings Play Songs of Love. Appeal Terms of The Mambo Kings Play Songs of Love.